Do you want the best toilet products for yourself? Are you bored of the same old accessories? Or do you feel that you are lacking behind using the old toilettes in this modern era? Well, here I am to solve all your worries. All my long months of researchers are only to lessen your effort. The aim was only to help you get all the information about best toilet products in one single article. So now you don’t have to lack behind in fashion in any way. Be it renovating your home or your toilet. Even lack of time and patience to browse several articles and journals cannot be a barrier anymore. Here I am with a list of fifteen best toilet. Keep your eyes open grab every information I am going to provide you with. And then your new most stylish and user-friendly toilet will soon come to reality. Availability of colors to suit your taste. Amount of water required for per flush. Size and shape should also be considered. Flush type is an important issue to be noticed. Check the material the toilet is made of to get a knowledge of its sustainability. You can also have a look at the duration of warranty offered. Special features present in the toilet. Lastly, you should check whether it is user-friendly or nor and whether it will provide complete comfort or not. 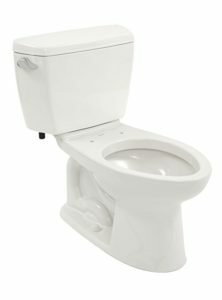 So in this in-depth guide I present to you my reviews of the best toilets for different uses. They come in various sizes, colors and offer different features but they are all just toilets. Are you looking for a toilet that can be installed easily all by yourself? Then let me inform you the first in my list Saniflo 023 Sanicompact one piece toilet with macerator built into the Base, White is going to be the best toilet option for you. So, hold your hearts as your wait is over as I am going to share the features of this eco-friendly toilet with you. It can be easily fit into small spaces. 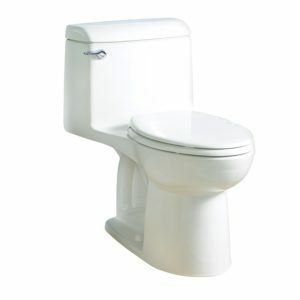 Thus, if your washroom is small or is a half bathroom for your residential use this toilet can be easily adjusted. It can be installed anywhere be it in your basement, underneath your staircase, upper floor, ground floor or even in your garage & should be installed in floor mounted method. It has dimensions of 15,8”H x 14,5” W x 18.2” D. Thus, it can be fitted in tight spots where normal toilets can’t otherwise be fitted. It can be pumped 9-Feet vertically and 100-Feet horizontally. As a result, all the waste products can easily pass away giving you a clean comfortable toilet. It also contains an automatic pump cycle. Pressing a simple air switch at the top of the bowl can simply do its job. Thus, no extra worries about your toilet are clogged. It can be connected to the sink. So, overflow of water can be avoided in times of need. This is CSA certified. Uses just 1 gallon of water per flush. People who believe in saving water, this can be the best toilet for them. Moreover, it is eco-friendly. The Sani compact does not have any extra tank attached to it for the flushing mechanism. It is built inside it and is a complete electric system.It contains a non-return valve which prevents backflow of waste discharge into the unit. It is composed of China polypropylene, C.R.P, neoprene and stainless steel. All these ensure the good quality and sustainability of the toilet. It has a stylish, elongated and authentic look with chrome hinges added to it. It can fit easily in your modern bathroom. It is quiet, do not use much water. Thus, it is eco-friendly. It can be adjusted easily by anyone anywhere near a normal electric supply. It can be fitted easily in very limited space. It is easily accessible thus is perfectly suitable for people who are disabled. It can be plumbed up easily. Few people complain about the flushing mechanism. Everything has its own good and bad sides so do this toilet. But now as you are aware of all its qualities hope you can easily take your decision and grab the chance of using the best green concerned toilet ever. 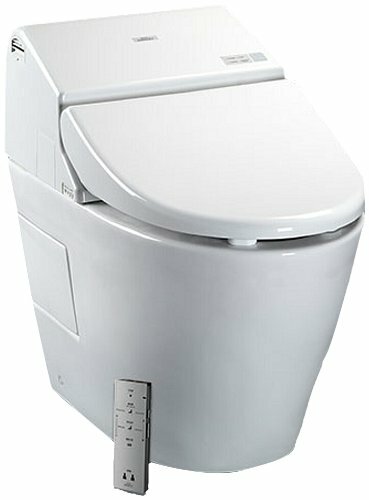 The second one in my list of best toilets is TOTO MS604114CEFG#01 Ultramax II Het Double Cyclone Elongated One Piece Toilet with Sanagloss. Are you interested in knowing a type of toilet that can exactly match your authentic choice? Well, then your destination is not that far. Let’s not delay any further and get a quick look at the features of this toilet. It has a standard height of about 16-1/8-Inch rim height and a seat height of about 17-1/4-Inch, tank height of 28-3/8-Inch and tank width of 16-9/16-Inch. As a result, it ensures maximum comfort. It is water sense approved. Thus, it is a high-efficiency toilet with only 1.28 GPF. This toilet also has a double cyclone flushing mechanism, which means cleanliness at its best. 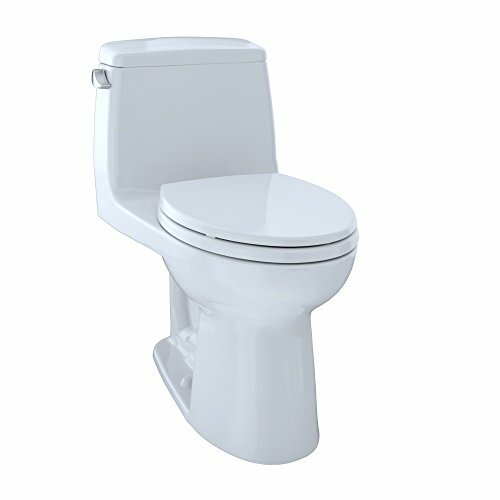 Not only that the flush is of advanced technology thus it is very powerful and also quiet. SanaGloss means the toilet has an ion barrier glazing which is very smooth. So, it will help you in cleaning your toilet bowl with each and every flush. It also means no molds or debris can remain attached to the surface of the ceramics. The bowl of the toilet is elongated which again enhances its comfortability. It has a cotton white color which gives your bathroom a soft and sober texture and adds to its beauty. It is a piece of all perfect toilet which chrome finishing. It is made of vitreous China which means no compromise must be made with the quality of the product. It is eco-friendly thus is sound pollution free and even water saving. The presence of SanaGloss also ensures a long period of a clean toilet. This means less water is required in cleaning the toilet. It has a soft close seat with an Ergonomic Design, high Gloss Polypropylene. And Molded Bumper. The Gloss Polypropylene is resistant to cleaning agents and chemicals. The construction of the seat is such that it will avoid any sort of injury. It has one year manufacturer’s warranty. It can be installed easily as it comes with mounting bolts for tightening the top. The toilet is made in a user-friendly way. The height and seat are just perfect and helps avoid any sort of injury. Impressive flushing technology. Customers who used it before were very much happy due to the cleanliness it provides. It is very stylish looking. The color might sometimes be a bit different than cotton white which is almost unnoticeable. All I can suggest you is if you are a comfort lover then go for this super cool toilet. This toilet will not only ensure your comfort but also give you complete cleanliness using the least possible amount of water. Do you want to know about the most authentic looking 2-piece cotton glazed toilet? Yes, you are in the right place then. 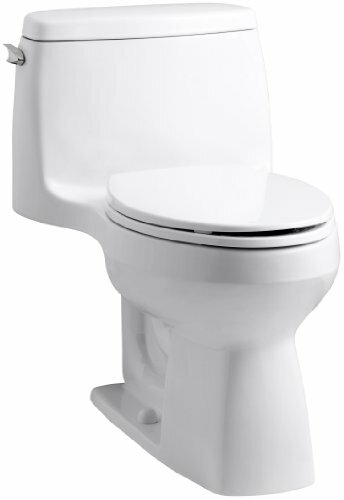 Because the next in my list is TOTO CST744SG#01 Drake 2-Piece Toilet with Elongated Bowl and Sanagloss. It is the best toilet of its type. It can be fitted easily without the help of any expert person. Yes, it is going to save your extra spending on a plumber. Doesn’t it sound great? The color of the toilet is glazed cotton white. So, it looks very good and enhances the beauty of your conventional toilet as well. It has a very high-profile design that is contemporary. Thus, giving a modern touch to your bathroom. It is a 2-piece toilet: C744EG#01- Bowl and ST743S#01-Tank. It has a very fast flushing technology. It’s flush is wider than the normal ones. It has a 3-Inch wide flush valve while that in the normal ones is only 2-Inch. It contains G-Max flushing system. That simply means the flush of this particular toilet is very powerful and quiet. The flush of this toilet is made such that it can be easily be used at the commercial level. The presence of Sana gloss means it is very smooth and contains an ion barrier which will repel dust away. As a result, getting a clean toilet with every single flush. This toilet is completely designed by computer. It is wider, 2-1/8-Inch.It also has a glazed trap way that is 12-Inch Rough-In. The size of the bowl apart from the seat is 14.625-Inches with a product depth of 26.3125-Inch product height of 28.5-Inches and product width of 19.5-Inches. All these qualities together make it the best toilet ever. The weight of the toilet is 103 pounds. Thus, the best fit for its job. It requires no batteries so again it is saving your extra expenditure. The toilet comes with a warranty of 1 year. Uses very less amount of water for flushing but does a great job indeed. Perfect height thus creates an awesome combination with the washlet. The Sanagloss keeps the toilet clean thus rarely cleaning can also be fine. The flush handle can at times be tricky for some people resulting in partial flushing. So yes, if you are about to buy the most good-looking water saving toilet TOTO CST744SG#01 Drake 2-piece toilet can be the option for you. 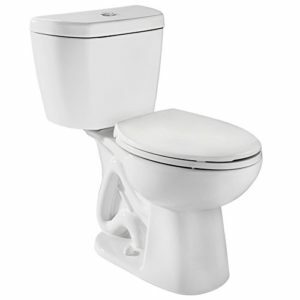 It can easily replace your old boring toilet and make you feel great with its comfort. 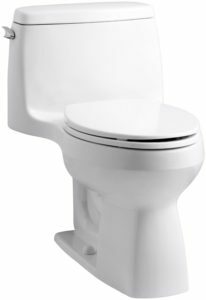 The next on my list is TOTO MS854114S#01 Ultramax Elongated One Piece Toilet, it’s one of the best-elongated cotton white toilets you will be known. This is one of the products of the world’s largest manufacturer. So, what are you waiting come when you are getting quality insurance from such renowned manufacturer and such decorative and good-looking toilet at the same time. Let’s not waste more time and get a quick glance at the features of this outstanding toilet. It has a siphon jet flushing technology tank cover. The flush tends to consume very less amount of water of only about 1.6 GPF. 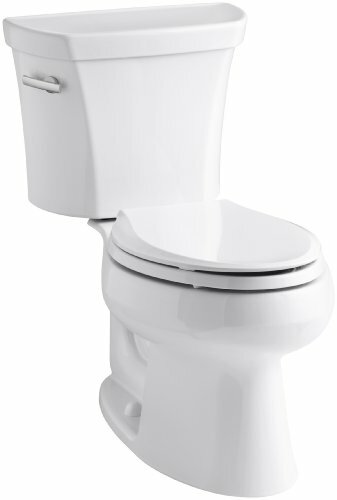 The G-max flushing systems that it contains is extra wide with about 3-Inch flush valve which is 2-1/8-Inch wide. G-max forms a benchmark with its flushing ability. It offers a glazed trap way which will draw water from the bowl at a very fast motion and at the same time take it away more forcefully. This means there is no tension of the sewage line getting clogged due to the high pressure created by the flushing activity. It has a large flushing valve compared to the conventional toilets. this ensures cleaner, quieter and more powerful flushing. It is made of solid, high-impact plastic thus reduce irritation during use. The seat also contains High Gloss Polypropylene, Molded bumpers, and Ergonomic design. As a result, it is resistant to cleaning agents and chemicals. There is a soft close hinge system in the seat and lid it allows them to lower down to the bowl silently and gently. It contains mounting bolts for tightening the top. As a result, it can be installed very easily. It has a shape that is open-front. This toilet comes with a manufacturer warranty of 1 year. Looks stylish thus will match your modern taste. It will not get clogged due to the presence of high power flushing technology. It is an easy to clean toilet. Comes in a standard height and size. Uses less water in each flush. It might sometimes get damaged during the shipping process. 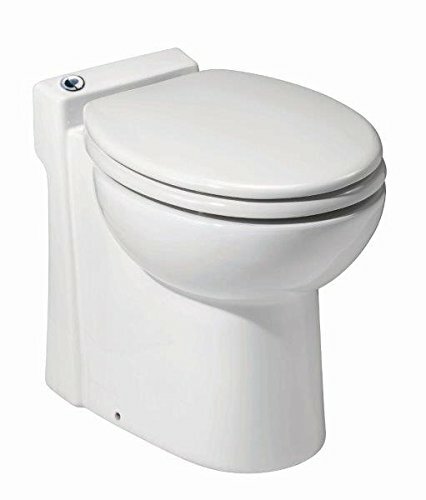 In all, if you are looking for a quality product at the most desirable price there can’t be a better option than this toilet. So, the choice is yours, don’t miss the chance to grab the best for yourself. Bored with your bold backdated commode? 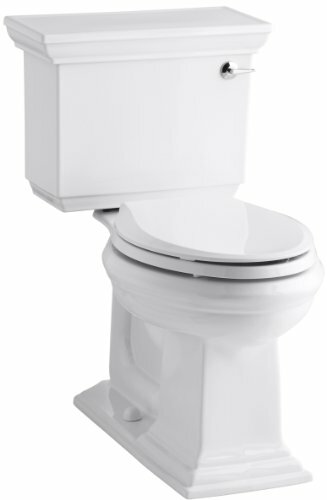 Are you looking for a toilet that will provide you outstanding flushing performance? Well, then you are perhaps in the right direction! Yes, this particular American Standard Champion-4 toilet will serve your purpose right. Its champion styling flushing technology and advanced looks will just be the perfect one for you. Super cool and advanced flushing mechanism. It can clean out mass that is 70 percent larger than the normal mass. It can even clean out a bucket of golf balls without any issues. This is 100percent tested. It is the perfect height one piece toilet. It has a 4-Inch accelerator flush valve.it has the ability to push water about three times faster than that in the conventional 2-Inch flush valve. Well for your knowledge I must also tell you that it also pushes water two times faster in comparison to the 3-Inch flush valve. It takes very less time of only about 1 sec to clean up all the waste products. It uses the very limited amount of water of only about 1.6 gallons per flush. Thus sustainable. It has a 2-3/8-Inch siphon Trapway. This fully glazed siphon Trapway is wide open. It can move 70 percent larger mass than the 2-Inch Trapway and approximately 40 percent larger mass in comparison to 2-1/8-inch Trapway. It is very clean and tidy even after days of use without cleaning. Thus, this easy to clean toilet can perfectly suit your tight schedule. The height of its seat is 16-1/2-Inch. The dimensions of this toilet are 29-3/4 by 17-3/4 by 29-1/2 inches and a 12-inch rough-in. It comes with two color-matched bolt caps. It has a floor mounted installation system. It has a manufacturer warranty of 10 long years. So yes, days of worries seem to come to an end. Least chances of getting clogged. Looks very stylish so can give you a change from the old ones that you have been using. The awesome height which is suitable for both tall and short people. No damage causes to the product during delivery. This gives a proof of quality products that have been used during manufacture. The process of installing the toilet is very easy. Best product at the most feasible price. Many people might be disappointed as it does not come along with a seat. Might seem small too few people. So, the answer is right in front of your eyes. This best toilet with the most powerful flushing technology is right in front of your eyes. Looking for something elegant along with good technological performance. Not getting it even after much research. Well, in that case, I would be glad to inform you that your wait is over. Your designation is right in front of your eyes. Come along with me see the features all by yourself. It is an elongated one-piece toilet with a very modern look. It will make your residential bathroom or commercial restroom even more elegant. It has a weight of about 117 pounds. It has an ever-clean surface thus it will give the mirror like glossy look even after long periods of use. Its antimicrobial property refers to the prevention of growth of mold mildew and bacteria. These things might otherwise be the reason of odor. It is white in color thus looks clean and brightens your bathroom. It is composed of vitreous china. It is a unique sort of ceramic that forms a non-porous body covered with a ceramic glaze when fired at high temperature. This is then fused in the body of the toilet. It has a 4-inch piston action accelerator flush valve that flapper which is resistant to chemicals. This action also allows a larger amount of water to enter the bowl more quickly for the powerful flush. This action prevents backflow of the bulk. It has a 2-3/8-Inch Trapway that is fully glazed. It can easily trap larger amount of mass. The height of its rim is 16-1/2-Inch. It uses only 1.6 gallons of water per flush. Thus, it eco-friendly and uses the least possible amount of water. As a result, it can also be fit in residents where there is limited water supply. Its innovative design ensures a very powerful and successful flushing. It comes with a 10-year warranty which also includes the tank trim inside and out. It has a 100 percent factory flush tested. Avoids extra tension of waste being clogged. No need of double flushing anymore. The product is quite heavy. Choosing a toilet is never an easy task to do in this competitive market. So, keep in mind what you want and yes go with your requirements. 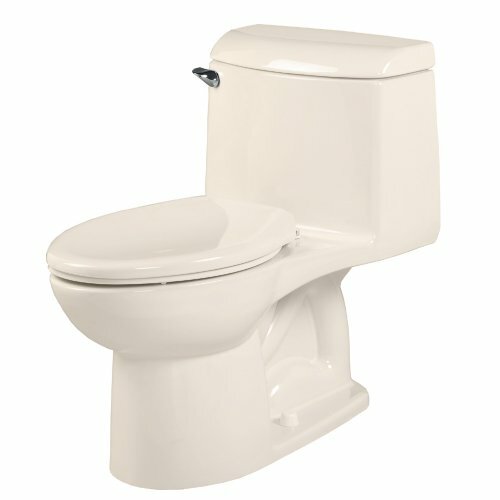 This American Standard Champion-4 Elongated toilet with great flushing technology and overwhelming looks will perhaps be the best for your kind. 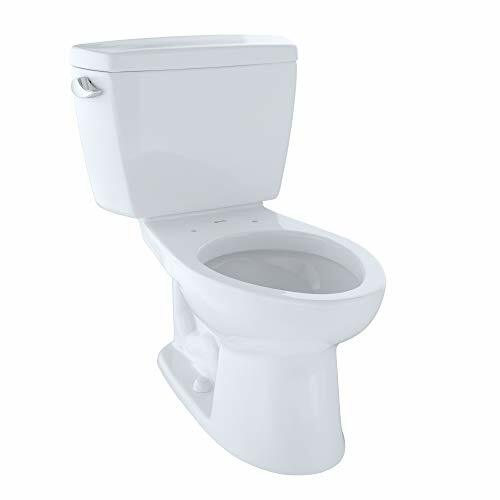 If you are looking for the toilet that is a high enough and is different from the rest, then this Niagara 77001WHCO1 Stealth 0.8 GPF toilet can be best fitted in your place. It will provide you with everything you want in your toilet. So, let’s move on to the features to help you take the perfect decision for yourself. The box includes 0.8 GPF Elongated bowl, 0.8 GPF tank. Unlike another model’s seat is not included. It contains a pressure assist flush. This means no double flushing is required. That is, all the waste masses will be gone in one go. So, no more complaints about flush not working properly. This also means odorless clean toilet due to powerful flush. It uses only 0.8 gallons of water per flush. It is much less in comparison to the other toilets I have discussed above. As it uses less water so we can say that it is eco-friendly and a very good option for those who are against wasting natural resources. It is also a better option for those who have a shortage of water supply in their place. It includes no fabrics at all which makes it better in its own kind. It has an overall weight of about 103 pounds. Heavyweight refers to longer sustainability. The dimension of this product is 28.9 x 18.8 x 31 inches. It comes in a medium size, as a result, it can easily fit into any average sized restrooms or bathrooms. It can be installed with ease in floor outlet or floor mounted way. It is made up of vitreous china and metal. This ensures the product’s good quality. It is a white colored toilet which never fails to add to the beauty of the toilet. No offense that the elongated shape adds to its beauty. The toilet has a very quiet flushing mechanism. Thus, the people who have a problem with loud sound, this product can be the best option for you. The handle of the toilet is placed at the top. Thus, making it easier to use. It is water sense certified. As a result, you do not have to compromise with the quality of the product. It requires no battery thus no extra investment. Almost never clogging property present. Very quiet flushing technology, thus peaceful. Uses very less amount of water for flushing means less wastage. Have a nice height and is good looking. Might take more than one flush sometimes. Although this is a very rare event still you can keep it in mind while purchasing the product. Get powerful quiet and water efficient flushing all in one toilet is no more a dream. Are you in search of something different from the rest? Bored of the same old color and design? No worries because you are here knocking at the right door. 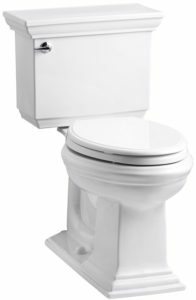 The next in my list is KOHLER 3810-0 Santa Rosa Comfort Height Elongated 1.28 GPF Toilet with AquaPiston Flush Technology and Left-Hand Trip Lever it’s an ultra-modern good looking and well-performing toilet. Going towards the features the only thing I would tell is that this is one of the best toilets available. It comes in seven different colors. The different colors are white, sandbar, ice gray, dune, black almond and biscuit color. So, if you are bored of the same old white color the Kohler toilet is going to be the best option for you with its wide range of color options. It is small thus can be adjusted easily anywhere. It’s just the normal amount of space of a round-front bowl while providing the comfort of an elongated bowl. It is quite well designed with a height perfectly fit any adult size be it short or long. A person can easily sit or stand up while using this toilet. Thus, very user-friendly indeed. It is a combination of a tank and a bowl compact together forming a one-piece entity. It has very fewer creases and seams. This means that it can be cleaned very easily. It contains a very powerful flush system. It has an Aqua Piston flush engine. This enables quick, plug free and powerful flush from all sides in 360 degrees. It requires 1.28 gallons of water per flush. As a result, very less amount of water is used in the process. Not only this our cleaning purpose is also met very well. The type of flush this toilet have is known as gravity flush. It has a certification of water sense. It has a dimension of 31 x 20.8 x 29 inches with a net weight of about 102 pounds. These properties make it fit right in its place. It has a warranty of one year, thus one year of tension free use. This toilet is an easy to install the product. Thus, can be adjusted by anyone.do not require an expert for adjustment. Thus, saving plumber fees! The tank fills up fast enough and the process is quite quiet. It has a very good look. It is a one-piece toilet thus can be cleaned easily and prevents tank seal leakage. The plastic seats might not be as per customer’s choice at times. This toilet perhaps has all the qualities overall needed to be a perfect one. Thus, it can be your next choice doubtlessly. Searching for a suitable toilet for your restroom or bathroom but still, couldn’t find one? Well then, I am here to get you rid of all your worries and help you get the best one. 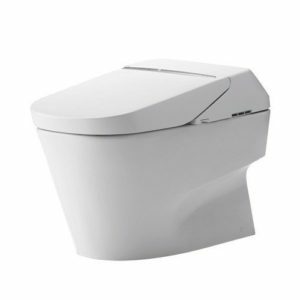 The ninth one in my list is TOTO MS964214CEFG#01 Eco Soiree Elongated One Piece Toilet with Chrome Plated Sanagloss, it might help your search to come to an end finally. So, what are you waiting for? Look at the features and take the right decision fast! This modern looking toilet comes in four different eye-catching colors. The different colors are bone, colonial white, cotton white and Sedona beige. This dazzling colors without any doubt add to the beauty of the toilet. 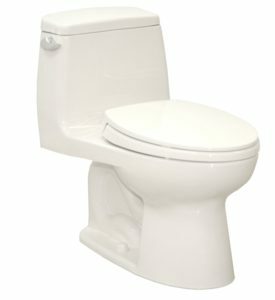 The length of this toilet is 28-1/8-inch having a seat height of 17-1/4-Inch, tank height of 27-3/4-Inch and a tank width of 17-3/4-Inch. This toilet has a weight of 120 pounds, which explain its strength itself. It comes as a one-piece decorative product. As a result, it is easy to clean. It contains a high-profile tank in it. It has a size of 12-Inch and has a shape the bowl is elongated along with a soft close seat. Thus, ensures the comfort that can be obtained by using this toilet. It requires no battery for its function. It not only gives a warranty of one whole year but also offers a discount by the manufacturer. It has a water consumption rate of 1.28 GPF. This shows that the product is eco-friendly and uses the minimum amount of water possible. It contains double cyclone flushing mechanism. That is, it contains two nozzles instead of containing rim holes. This causes less dirt and bacteria to be trapped in. as well as gives better cleanliness to the bowl and the rim. More water flows towards the siphon resulting in a more powerful flushing due to the presence of the dual nozzle system. There is a soft close hinge mechanism present for ease of use of its customers. The seats are designed such that they can be fit anywhere be it elongated or regular bowls. This toilet has an ADA complied regulation basically for its height. The sandglass present in the toilet plays its role in keeping the toilet clean for a longer period. One of the most comfortable and user-friendly toilet. Good looking standard toilet with advanced flushing technology. It makes less noise, uses less water and is easy to clean. The product might at times get cracked or might get some shots during arriving. But to your concern, it is not the manufacturer’s error. After reading so much about this toilet you perhaps might already know about its good qualities and customer friendly nature. It can be easily fitted and used for long period of your lifetime. Thus, can result in one of the best choices you have ever made in your life. The next in my list is a unique one. Want to get yourself the comfort of something different. 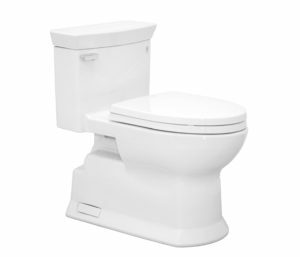 Well then, I can tell you this KOHLER K-3817-RA-0 Memoirs Stately Comfort Height Two-Piece Elongated toilet can be the best option for you. The features are, therefore, going to be quite helpful for helping you see whether it contains all your desired qualities or not. It contains a universal gasket. Thus, it can fit in all KOHLER canister flush valve toilet. As a result, will make replacement easier. A 3” flapper usually contains exposed seals. But for your benefit, it contains 90 percent less exposed seals. It has a very good and water efficient flushing system. The water enters the valve in a consistent motion in 360 degrees. This creates a very soft and smooth flow of water from all sides of the bowl. This leads to increase the effectiveness and strength of the flush. This toilet has an anti-leakage technology. There is a yellow colored seal present in it that resists leakage of water, shrinkage, swelling or tear. It is an Aqua flush toilet. As a result, it requires less energy to flush out of the wastage. Thus, easy access to disabled people. This property also ensures minimized chances of incomplete or short flush. This toilet has maximum power so it is the best of its type. The toilet comes in two pieces and has a very authentic look. It is comprised of the K4380 bowl and K-4434 tank. It uses up only about 1,28 gallons of water per flush. As a result, saves a huge amount of water per day, per month and way more water per year which can be approximated to about 16,500 gallons of water per year. Doesn’t it sound awesome? It contains elongated bowls that can be fitted anywhere very easily. And the conventional height means it is suitable for use of any human height. It has dimensions of about 35.8 x 26.4 x 23.2 inches with a weight of only about 0.3 ounces. It comes with a warranty of 1 year. As a result, it can be used for one year without any worries. It is water sense certified. It is a very rich looking comfortable toilet. 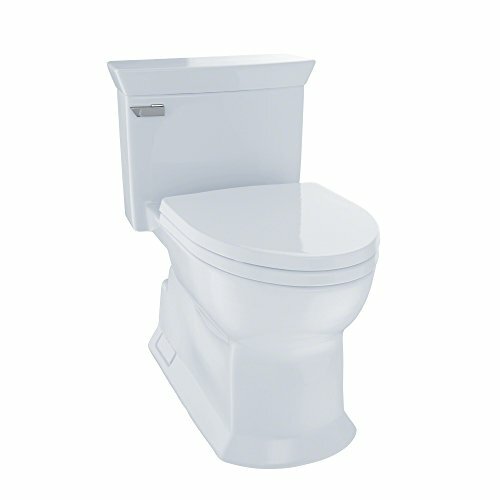 It is an all American made very good quality toilet. It is eco-friendly as it uses the minimum amount of water for flushing. Fewer times due to manufacturing defect there might be leakage in the toilet. In all the super stylish toilet seems to be a great one which would possibly meet all your needs. So best of luck as having a perfect toilet is no more only a dream. Having a perfect and most comfortable toilet is all we want for our residents as well as commercial places, isn’t it? If you agree with me then this American Standard H2Option Siphonic toilet can meet your needs and prove to be the best one for you. So why not you look at the features yourself and decide by your own! It has a product weight of only about 57 pounds. With dimensions of about 27.8 x 15 x 29.5 inches. This size means it can easily be shipped or even fitted where ever a customer wants. It has a rounded shape and is white in color. As a result, it looks very clean and authentic wherever it is fitted no matter how the bathroom or restroom look like. There are discounts provided by the manufacturer, as a result, it is feasible for those who want the best toilet at a minimum price. This toilet also offers a warranty of 2 long years. Thus, no tension of repairing cost for 2 years which is also an advantage. It is water sense certified which means it has high efficiency and low consumption rate. It is available in 2 colors that are, white linen and bone color. It uses up only 1.6 GPF water per flush. And have a flow rate of 1.6 GPM. This means it has a very efficient flushing mechanism. The mechanism of this toilet doesn’t require any battery. It is made up of vitreous china. This ensures good quality and greater sustainability of the toilet. It has a two-piece round front symphonic action dual flush toilet. This ensures using less water and keeps the water level even throughout the flush, providing a cleaner flush and fresh bowl. It is quiet and does its work of removing bulk very efficiently. It can handle up to 1,000 grams of solid in a single flush which is heavy and about 400 grams during a light flush. This H2Option toilet has a pressurized rim. The water that is pressurized is released from special rim holes to power wash and scour the bowl. Contains factory installed and pre-assembled bolts. It reduces confusion of connecting loose parts and saves adjusting time by about 30 percent. It has antimicrobial properties so keeps bacterial growth, molds and stain away. This property also helps in keeping the toilet odorless and clean for a longer period. It takes about 30 perfect less adjusting time. Doesn’t have many loose parts thus avoids confusion. Stays mirror like clean even after years of use. The dual flush allows easy successful flush each time. It is small and can be easily fitted. Considerably no defect found. One out of four might have a defected flush. This user-friendly antibacterial dual flush toilet seems to be just perfect. Thus, it can be used to renovate your old bathroom or even used in your new apartment to enhance its comfortability and elegance. If height is an issue for you and elegance a choice. Then yes you are perhaps in the right place. 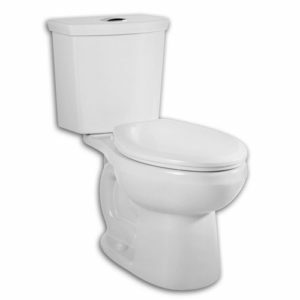 This Kohler Wellworth toilet will provide you the best comfort at the most feasible price. So, are you excited to know more about it? It is a light weight product composed of ceramics is only about 3.2 ounces. So, it can be easily parceled and fitted properly without any worries. It is a 12-inch toilet with dimensions of 30 x 29.2 x 18 inches. As a result, it can be fit in small restrooms or anywhere possible. It looks very elegant and authentic with its white color. It also looks cleaner due to its white color. Its elongated shape means it provides advanced comfort to its customers. As a result, can be perfectly fitted with your choice if you are a comfort lover. It has a one-year manufacturer warranty. So, any manufacturer defect can be repaired in free for complete one year. This product does not require any battery. It contains three pre-installed tank bolts which minimize the fixing time. It contains high power bulk removal capacity. Thus, a large amount of mass can be removed at a single go. The bowl of the toilet has a standard height. As a result, people, irrespective of any height can easily use the toilet with much ease. 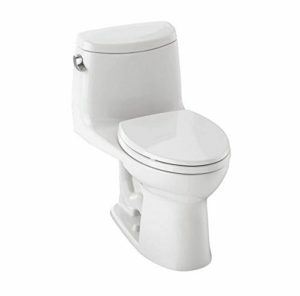 This two-piece toilet comes in many different shades such as almond, biscuit, black and gray. It contains a very fast and efficient flushing technology. Requires limited amount of water per flush but do not compromise with cleanliness. Have a very classy look. Seat not included with the product. Just a simple indication is enough for wise individuals. This easily installed stylish toilet can be an outstanding choice for you. Thus research, decide and go for it. 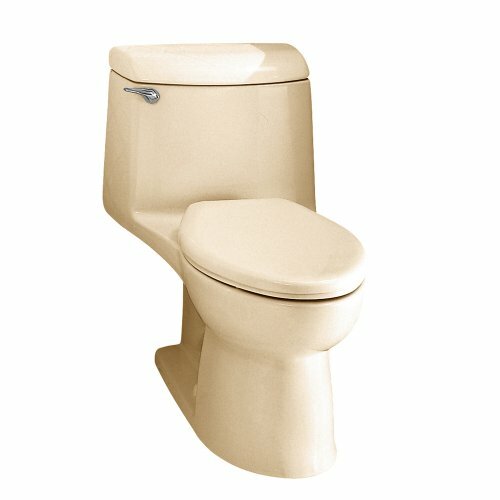 Are you looking for a toilet that looks completely different than the rest of the old model conventional toilets? Bored with the same old looks? 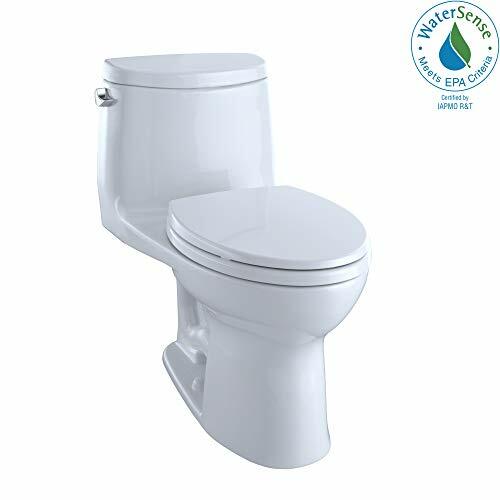 Thus, this Toto MS970CEMFG#01 1.28-GPF/0.9-GPF Washlet with Integrated toilet might give you a ray of hope and play a great role in your daily life once you decide to invest your hard-working income in it. So, moving on to the features so that you can know more and more about your desired product. It has a dual-max flushing system in it. Thus, may require 1.28 or 0.9 gallons of water per flush. This toilet has a very advanced technology of remote-controlled operation system. It also contains an auto open and close lid system. It comes with 2 user memories and an auto flush thus making it more user-friendly. It is ADA compliant and has a standard height suitable for all. It has a rear and front warm water washing with adjustable temperature and pressure controls. It also has a temperature controlled heated seat, as a result, can be easily used in any country with ease. Contains mounting and connection hardware. So, can be adjusted quite easily. The bowl is cleaned using gravity flush system in a cycle. The presence of the sandglass ensures a longer period of cleanliness. It has a net weight of 24.6 pounds along with dimensions of about 28.5 x 11.8 x 25.2 inches. It is very elegant looking with only a size of 2.125 and cotton white color which adds to its beauty. Toto having a good brand reputation makes quality products. Works smoothly with trouble less flush. Very good looking, makes the rest room look good. Easy to use toilet providing maximum comfort possible. Requires plumber who can read and understand directions perfectly to fix the toilet. Needs relatively big water supply. This advanced gadget is just another proof that this world is advancing at a very fast pace. Comfort is not far from us anymore such is the creation of technology. Thus, if you want to get the smartest toilet product for yourself there cannot be a better option than this toilet. Are you a cleanliness freak person? Or are you a technology lover? Well if you are either of them then this Toto MS992CUMFG#01 Neorest 1.0 GPF and 0.8 GPF 700H Dual Flush Toilet might help you find your desired toilet easily. For the betterment of your decision making, I am providing you with the features of this toilet below. This product has dimensions of 32.5 x 15.5 x 21.5 inches with a net weight of about 120 pounds. It comes in size no.3 and has a cotton white colored texture. This increases the beauty of the product and makes the restroom look cleaner and more authentic. It is oval shaped making it look different from the rest of the toilets. Thus, making your bathroom look more elegant and feel more comfortable. It requires an electric silly of about 120 volts and 1413 watts. 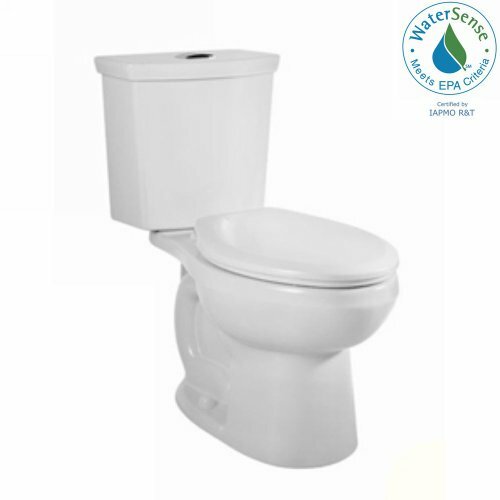 It is water sense certified which ensures more powerful flushing ability. It requires only 1 GPF water per flush. This means the water requirement of this toilet is very less. Thus, it is eco-friendly as it saves water. The special qualities in this toilet that makes it different from the rest are that it has 60 Hz, eWater technology, 12-inch rough-in. It has a remote-control system included in it not only this it also includes night light which adds to its advancement even more. It has a 3-year warranty for residential use and one year warranty for commercial use. Thus, from here you can get a sigh of relief for free repairing. it is advanced in technology with hand free remote control automatic flush. It can be cleaned very easily and remains fresh for longer period of time. Automatic remote-control flush means it is very much advanced in technology. The siphon jet flush makes it very efficient for its purpose. It has a very elegant look. The batteries needed in the remote might be tough to be changed for some people. This toilet, filled with all the necessary qualities can be the best one for you. The advanced technology present in it makes it different from the rest. The last one in my list is an exclusively designed modern toilet. The product is fully equipped with advanced technology. 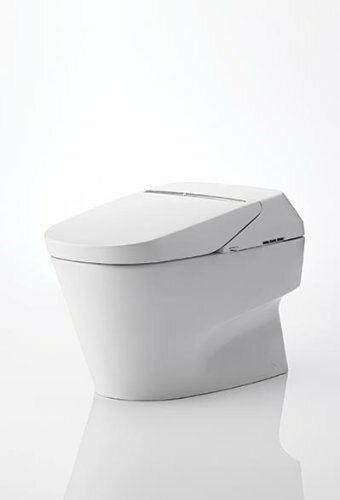 So, if you didn’t yet find the right toilet of your choice maybe this TOTO MS980CMG#01 Neorest 550 Dual Flush One Piece Toilet is going to be the one for you. It doesn’t require any expert installation. That is, you can install it all by yourself without the help of a plumber. As a result, saving money! It is cotton white in color thus gives a very sober looking bathroom. The cotton white color makes the toilet look brighter and cleaner. It has a dimension of 26.5 x 15.3 x 21.4 inch. As a result, it can be easily fitted anywhere you want. It has a light weight of only about 23 pounds, which means it can be delivered quite easily. It is 12″ rough-in- ASME certified. It contains a warranty of 3 years for residential use and 1-year warranty for commercial use. This shows that the tension of repairing with a large amount of plumber fee can be kept aside for quite a long time. It is a dual flush toilet with water consumption level of only about 1 GPF. It requires less water than other modern toilets of its type. Thus, is a better option than the others. This type of flush does not sacrifice performance and elegance in look in order to use less water. 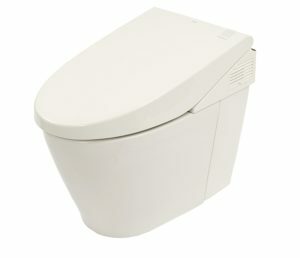 It has an automatic toilet seat that can be opened or closed by sensor operation or remote control. The toilet seat also contains advanced temperature controlled heating option in its seat. the sandglass means the total chinaware will remain neat and tidy for a longer period of time thus requiring less amount of water for cleaning and less chemical into the environment. The sandglass glaze gives the toilet its antimicrobial property and avoids growth of bacteria, mold or other debris. As a result, it is eco-friendly. The toilet has a catalyzed ion barrier. This repels particles always keeping the toilet clean. It is composed of ceramics which gives it a better texture than the normal toilets used. It performs flawless flushing activity. It is one of the best automatic toilet available in the market as it works without any problem. It saves water as it uses very less amount of water per flush. Looks great in the bathroom and increases its beauty. Easy to clean toilet and also remains clean for a longer period of time. Doesn’t have any such issues just needs to be handled with care. This toilet with advanced technology is one of the best of its type. It can exactly be the toilet you were looking for thus resulting in an end to all your search and researchers. Hope all this long research of mine will prove to be of great help to you. Thus, you will be able to take the decision for yourself. So, do not delay further, decide fast to pick up your phone and order the best toilet for yourself right away. Wish you good luck and yes happy shopping!